No gift you give your son or daughter will mean as much to them as the time you spend together. You’ll soon discover how special those moments are as well when you join our unique program. 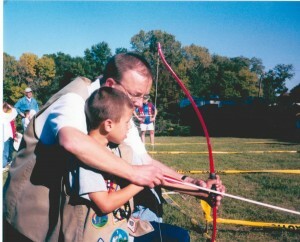 The Tri-Town YMCA Y Adventure Guides program is for sons, ages 5-14, and their fathers. Spend time together at fun outings such as camp outs, sporting events, a demolition derby, a pumpkin hunt, and more! Initial program activity fee covers some of the activities that are free or subsidized. There may be additional activities listed that will require an extra charge. For more information, please call Tri-Town YMCA at (630)629-9622.